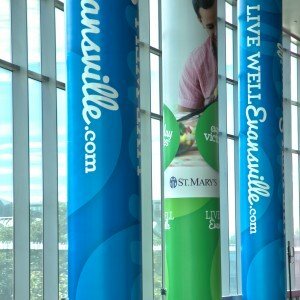 VenuWorks has entered into a new partnership with St. Mary’s Health in Evansville, Indiana. 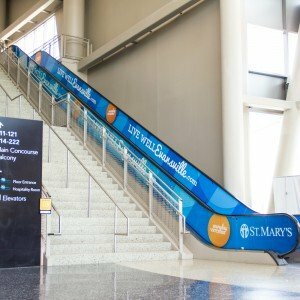 Recently on October 1st, St. Mary’s Health unveiled its partnership with decorative designs inside Ford Center and its enhanced website at LiveWellEvansville.com. 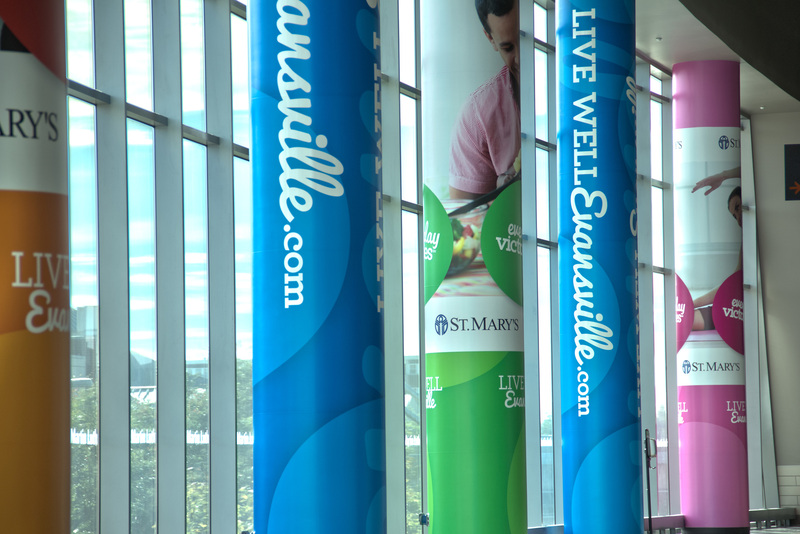 Together VenuWorks and St. Mary’s are promoting a healthier lifestyle. 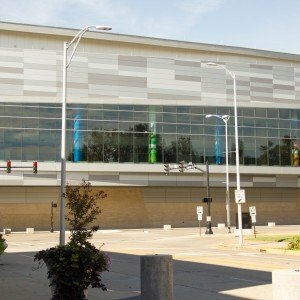 Ford Center provides healthier choices during events at the concessions stands including items such as grilled chicken sandwiches, assorted healthy salads, veggie wraps and other healthy options on our Upgrade menu. 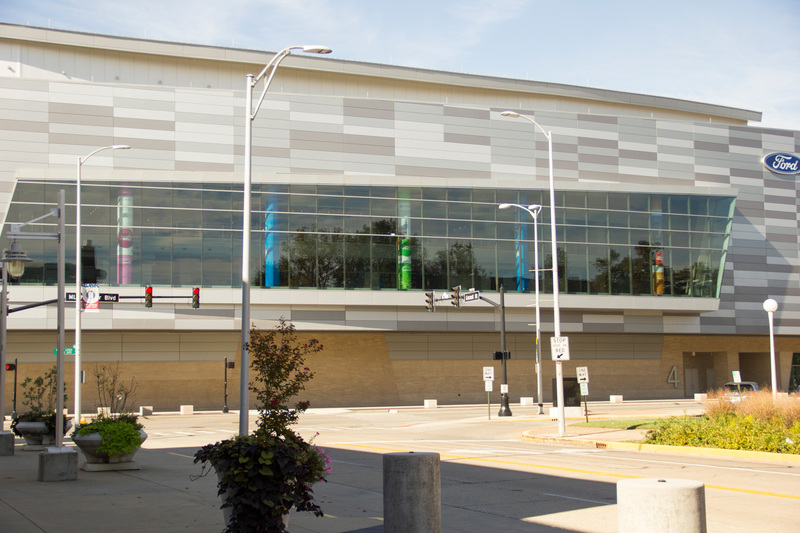 In addition, we encourage patrons attending our events to arrive when the doors open and take some time to walk around the Ford Center as well as utilizing the steps instead of the elevators. 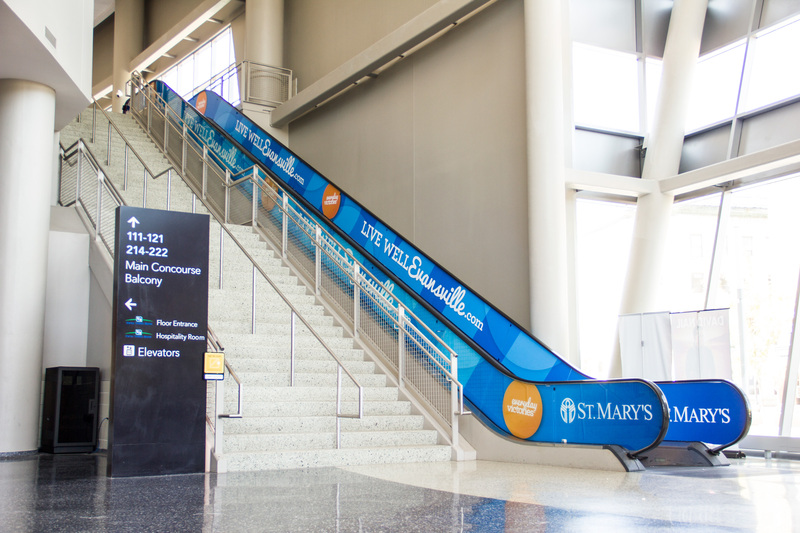 This partnership is part of a sponsorship that included five fully wrapped large concourse pillars, the two fully wrapped main escalators in the entrance lobby and free Live Well Evansville magazines for the public. The five pillars can be seen from the concourse, Old National Suite Club and from the outside streets (day or night). Ford Center patrons will certainly notice the visual reminder and hopefully the message will help people make better life choices.